There are many books that deal with the resurrection of Jesus Christ. And all of them tend to tie the messiahship of Jesus to his resurrection, and sometimes to his crucifixion. These books teach that Jesus had to die or resurrect to prove that he was the Messiah. The question we can ask ourselves is: Are these books (and their authors) telling us that the only way Jesus could have been the Messiah was by dying on cross and/or by resurrecting? You are probably familiar with some of these books or their contents. If not, allow me to break them down for you. This group includes books that profess that Jesus died on the cross and resurrected (early on the third day). They believe and defend the following: (1) Jesus died physically on the cross and (2) he resurrected physically. This second group includes books that also profess that Jesus died on the cross and resurrected (early on the third day). The difference between books in this group and those in Class A is that books in this group (Class B) believe and defend the following: (1) Jesus died physically on the cross. However, rather than resurrecting physically, (2) he resurrected spiritually (early on the third day). Though Class A and Class B disagree as to the form in which Jesus resurrected, they however unanimously agree in a couple of issues: (1) they agree that Jesus died on the cross and (2) they attribute more value to the crucifixion and/or resurrection of Jesus Christ to the point of teaching that his crucifixion and/or resurrection validate his messiahship. The third group (Class C) on the other hand deals with the topics of crucifixion and resurrection of Jesus Christ differently. This is the third group, which includes books that profess that Jesus did not resurrect because he did not die on the cross. They believe and defend the following: (1) Jesus did not die (physically) on the cross and, because he did not die, (2) he did not resurrect be it physically or spiritually. Books found in this group are usually rejected by mainstream Christianity. Where does the book The Messiahship of the Lord fit, if anywhere at all? Or should the question be how is The Messiahship of the Lord different from the tons of books that deal with the crucifixion and resurrection of Jesus Christ? The Messiahship of the Lord is different in that it creates a new group. Let’s call it Class D. At least to my knowledge, The Messiahship of the Lord is the only book in Class D.
The Messiahship of the Lord teaches that Jesus did indeed die on the cross, but he did not resurrect. Instead, he rose from (the realm of) the dead. Rising from (the realm of) the dead, as it pertained to Jesus, the Messiah, was neither physical resurrection, nor was it spiritual resurrection. The Messiahship of the Lord explains that Jesus did not need to die on the cross or to resurrect in order to prove his messiahship. It also explains that, contrary to common belief, God did not wish for the death of Jesus on the cross. In other words, the crucifixion of Jesus Christ was not the will of God. I know that this may be difficult to comprehend without a detailed explanation. You are in luck for the explanation can be found in The Messiahship of the Lord. Just think about it. What kind of Parent would God be if He sent Jesus to die such a cruel death while Satan continues to feast as evil continues to poison His creation? Are we to say that God gave up on His ideal? I have to tell you honestly that writing The Messiahship of the Lord was no picnic for me. I struggled with some of the issues that you may be struggling with as you are reading this description of the book The Messiahship of the Lord. The first and major issue I struggled with was the revelation that Jesus did not resurrect. You see, I grew up a Catholic. As such, I believed that Jesus resurrected physically for that is what I was taught then. And when I joined the Unification Church, I learned that Jesus resurrected spiritually; not physically. And that is was I believed even when I began to write The Messiahship of the Lord. However, in the process of writing the book, I was hit with the revelation that Jesus did not resurrect, at all. I don’t know exactly how many times I dismissed it, but I did dismiss it at first. I dismissed it because, just like everybody else, I believed that Jesus was the Messiah because he resurrected and that he resurrected because he was the Messiah. Therefore, as far as I was concerned, saying that Jesus did not resurrect would be synonymous to saying that he was not the Messiah. I could in no way make room for such nonsense. At least that’s how I felt. I considered that revelation to be nothing but a bunch of nonsense. Hence I did not have any choice but to dismiss it. Do you know what happened as I continued to dismiss this revelation? I began to experience a moment of unrest, uneasiness—anytime I dismissed it. I began to experience, in no particular order, chest pain, stomach pain, and also severe pain inside my head. It was nothing like having a headache. It was something completely different. Annoying pain! Inside my head! This pain was accompanied by a noise that I could not ignore. It sounded like a combination of cranking and ticking sounds. This experience was happening randomly. And in occasion, all these pains would hit at once. Pain! Pain! Pain! I was confronted with this revelation everyday until I decided to prove it one way or another. So I plunged into meditation, research, and prayer. Long story short, I came to understand the truth: Jesus did not resurrect, but he did indeed rise from the dead. So from that time, the revelation ceased to be a bunch of nonsense. Think about it. The Bible represents Jesus as the resurrection for it is written in the Bible that Jesus said the following: "I am the resurrection and the life" (John 11:25). If we believe the words of Jesus as written in the Bible, how can we say that he needed to resurrect to prove his messiahship? The man was resurrection! Let me share something before I close. Writing this book was an experience like no other for me. The Holy Spirit was leading me to biblical passages that I needed. Most of the time it was when I needed them, but some other times it was before I even knew that I would need them. Amazing! I will admit one thing here: I am neither a Christian scholar nor a Bible expert. But I know that Jesus was the Messiah and I believe in the Holy Spirit. And I testify that by the power of the Holy Spirit, not my own, I was able to put this book together with insights that will change your life by giving you a platform upon which you could build a better relationship with (the risen) Jesus. Insights that will help you better understand Jesus Christ as a person and as the Messiah. The Messiahship of the Lord is written to inspire anyone, Christians as well as non-Christians, to establish a genuine relationship with the Lord Jesus Christ. Purchase your copy today and get inspired. Life is too short! Do you want to know what is it that allowed one of the criminals who was crucified with Jesus to be taken to Paradise by the Messiah? That one secret alone, when applied properly, will save you, too. 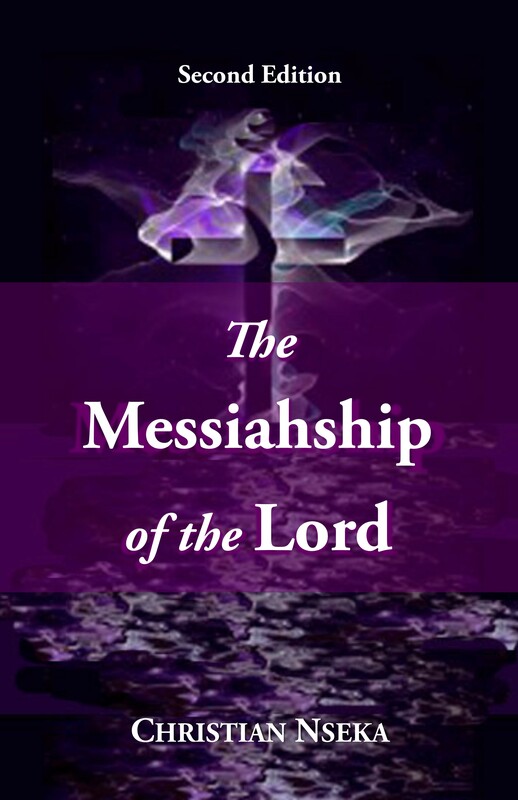 So purchase The Messiahship of the Lord today to discover what this heavenly hidden secret is. Writing and reading The Messiahship of the Lord has helped me understand the messiahship of our Lord Jesus Christ. It also has allowed me to acquire the discernment as to why Jesus was the Messiah instead of any great figures such Buddha or Muhammad. I hope by reading this book you too can acquire a similar, if not better, understanding and discernment of the truth.